Imagine yourself in an emergency situation. You desperately need a light source. You rummaged through your drawers for your emergency flashlight. Of course the batteries inside are dead. With further rummaging, you find a few batteries. Chances are they are the wrong size. Or you only have 1 piece but the flashlight requires 2. You won’t find yourself in such a situation if only you had the Panasonic Any Battery Flashlight. Some of you may be thinking that you don’t need a flashlight since everyone owns a smartphone that can function as a flashlight. True, but in a real emergency, would you use up your smartphone battery for light knowing that you may need to actually use your smartphone as a phone? 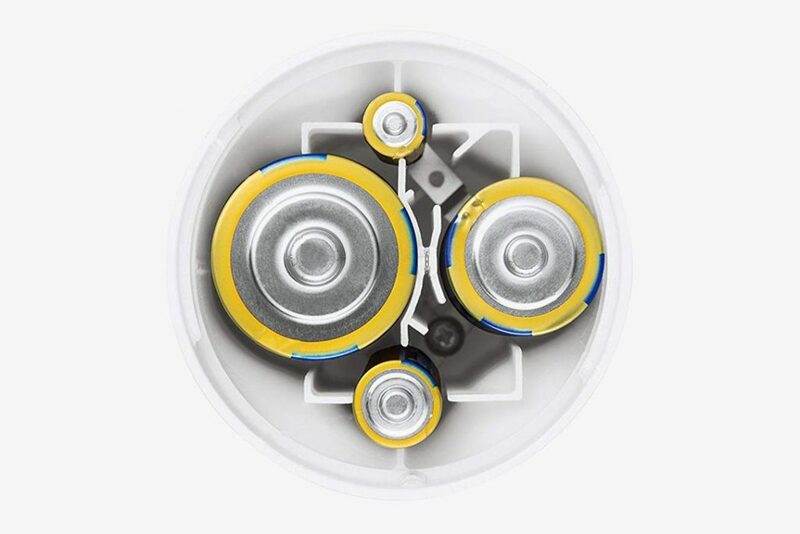 The Panasonic Any Battery Flashlight is an LED flashlight that is powered by the 4 most common battery types found in a home – AA, AAA, C and D. The flashlight has battery compartments for each of battery types. You can then switch between any of the compartments to power the LED by rotating the lens cover. There are 2 lightning modes. In lantern mode, all 3 LEDs are lighted up. In flashlight mode just 1 of the LEDs is lighted up. With all 4 batteries fully loaded and by switching between them, it is possible to get up to 85 hours of continuous light on the Panasonic Any Battery Flashlight. 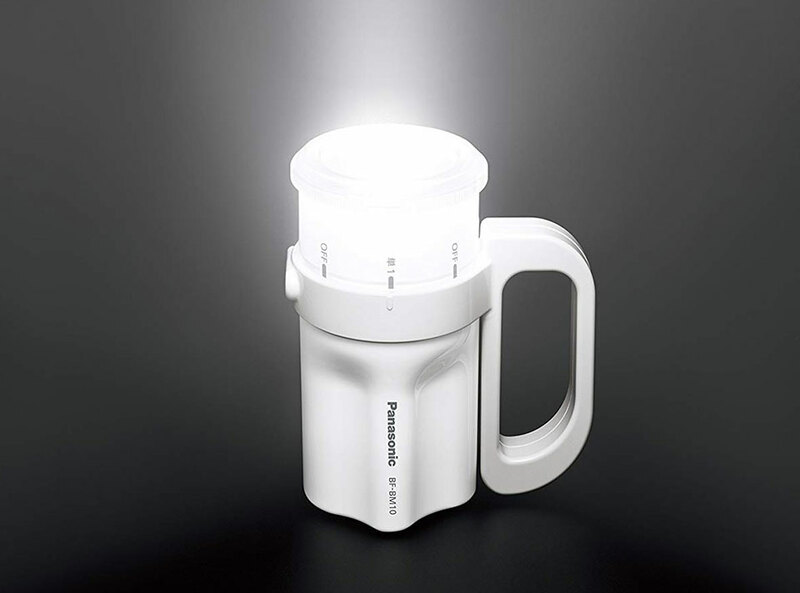 The flashlight has a large handle and is convenient to carry. It is rather large compared to most LED flashlights that are compact and tiny but that is understandable as it has to hold 4 different types of battery including the rather large C size battery. However, the flashlight itself is rather light weight and weights less than 9 oz with a single AA battery. 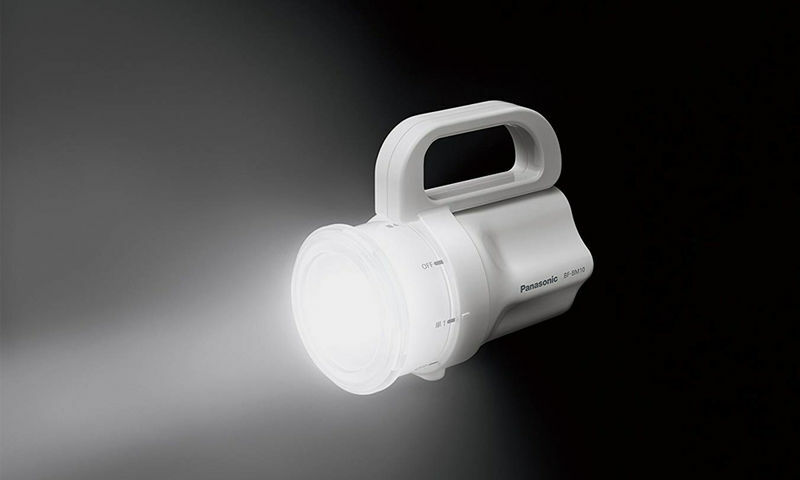 The handy Panasonic Any Battery Flashlight was first released in Japan, a country that is no stranger to natural disaster emergencies. We can definitely see the advantages of having such a flashlight in an emergency kit knowing that we can easily use any battery from around the house including those found in remotes, alarm clocks and electronic toys. The Panasonic Any Battery Flashlight can use any battery size - D, C, AA or AAA. Ideal for most emergencies. Provides continuous light up to 85 hours.